We took a trip to Brighton back in May for work but decided to stay on a few days to enjoy England’s south coast. We were really impressed by Brighton and enjoyed the few days we had in the area. We stayed in the centre of town so this made it easy for us to get around and experience everything Brighton has to offer. 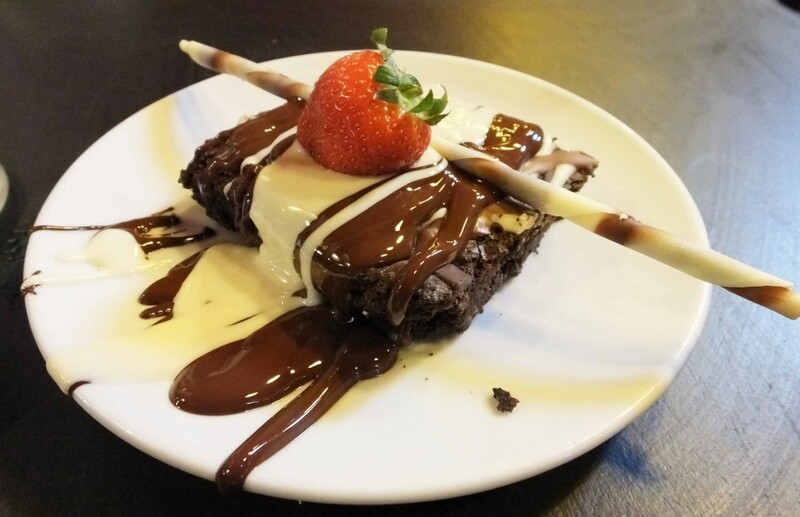 We will be discussing our trip in an upcoming article, but today we wanted to talk about one of Brighton’s most popular foodie attractions – the famous Choccywoccydoodah. Choccywoccydoodah first came to our attention when we started watching the TV show based on the shop. 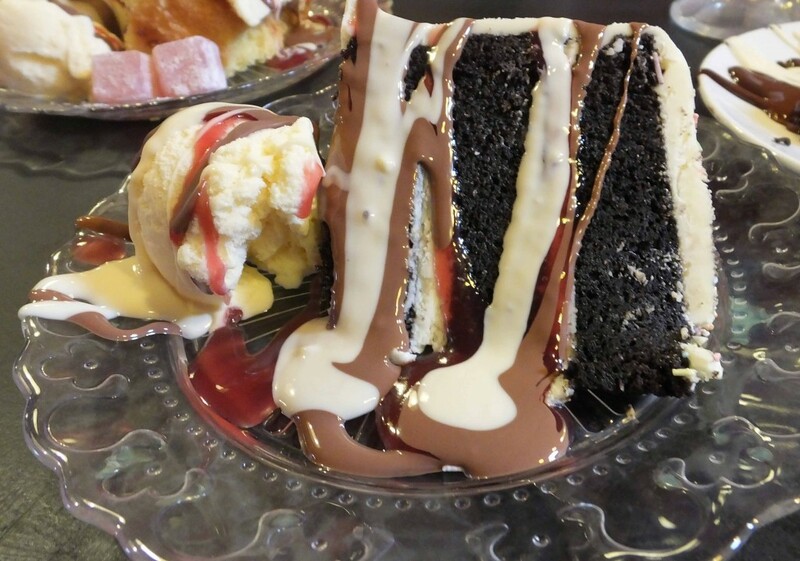 Helen regularly makes bespoke cakes using icing so we have always been intrigued by the team at Choccywoccydoodah as they use chocolate rather than icing as the primary ingredient to cover and decorate cakes. 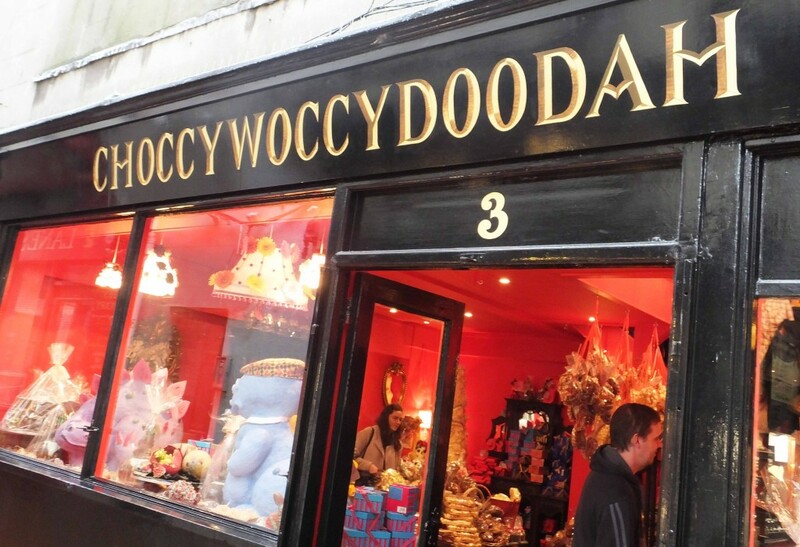 The Brighton shop is the flagship shop for Choccywoccydoodah and they also have a shop in London. It is clearly a popular tourist hangout in Brighton and can be found hidden away down Meeting House Lane, one of the many lanes that flag the streets of Brighton. The shop really showcases the talent of the Choccywoccydoodah team with some amazing cakes on display downstairs at the entrance to the shop. 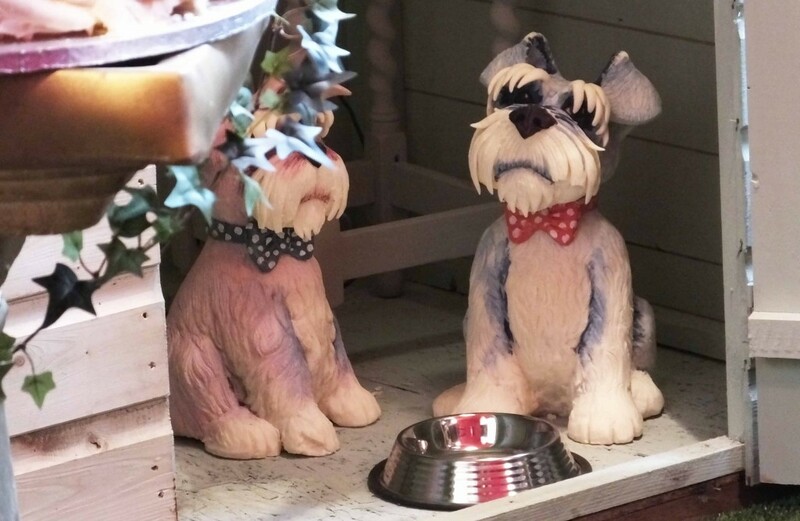 From dinosaurs and dogs, to smiling faces and skulls, there’s a little bit of everything on display. 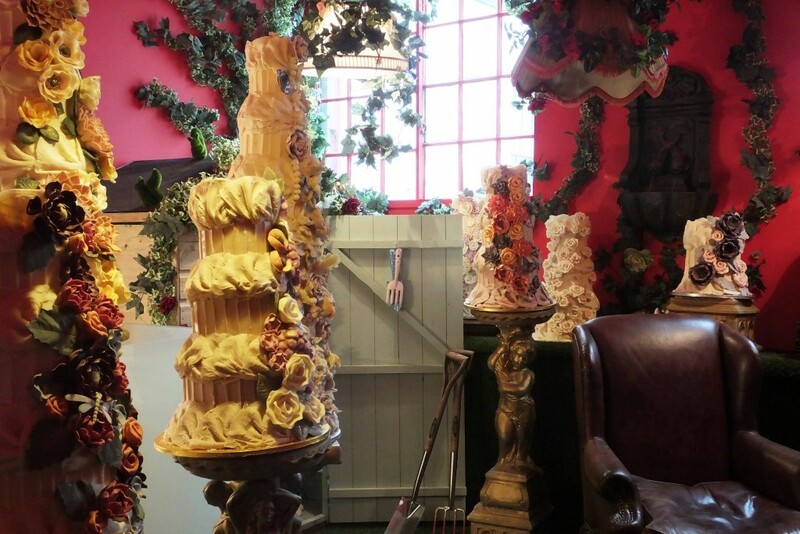 There is also a great exhibit of wedding cakes, so if you’re planning a trip to Brighton anytime soon and are looking for some wedding cake inspiration, then get along to Choccywoccydoodah. 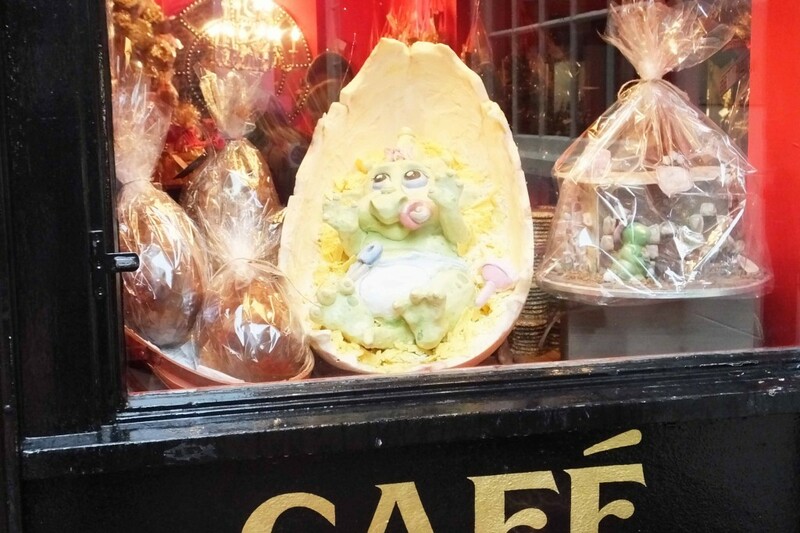 Not only can you admire the chocolate masterpieces on display, you can also sit upstairs in the Choccywoccydoodah cafe and enjoy the chocolate goodies on offer. There is a large range of goodies on offer in the cafe, and if you are a fan of chocolate you won’t be disappointed. We decided to try out a dark chocolate and white chocolate cake and also sampled the homemade chocolate brownies and chocolate chip cookie. We were a little underwhelmed by the cakes as they weren’t as moist as we would have hoped for. The cookies and brownies on the other hand were absolutely divine. 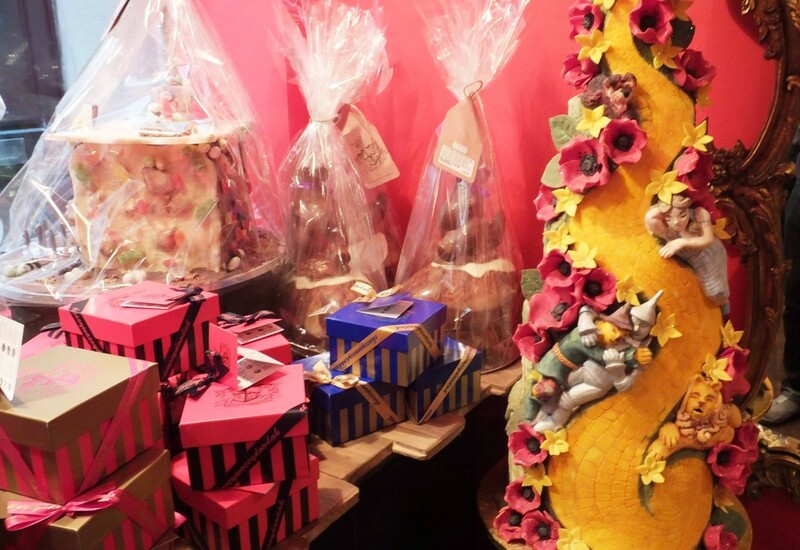 We will certainly be back to Choccywoccydoodah and would recommend visiting it and sampling the goods the next time you are in Brighton. 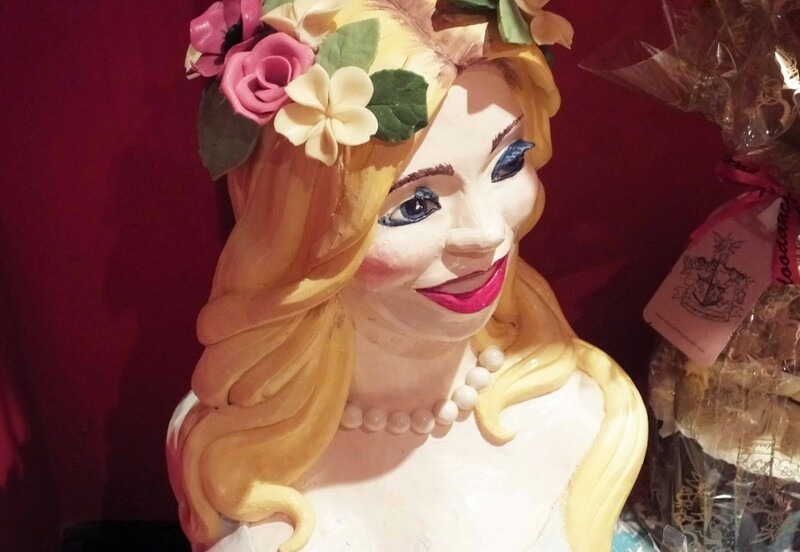 Have you ever visited Choccywoccydoodah? 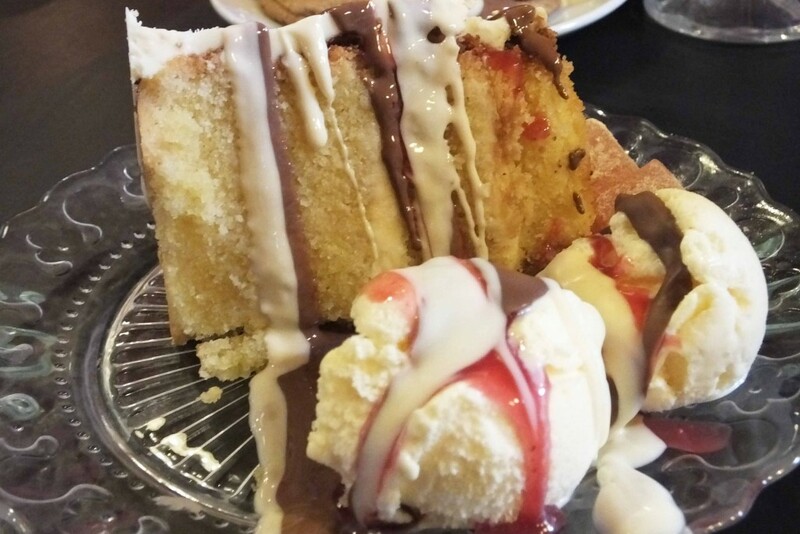 Have you got a Choccywoccydoodah experience that you would like to share with us? 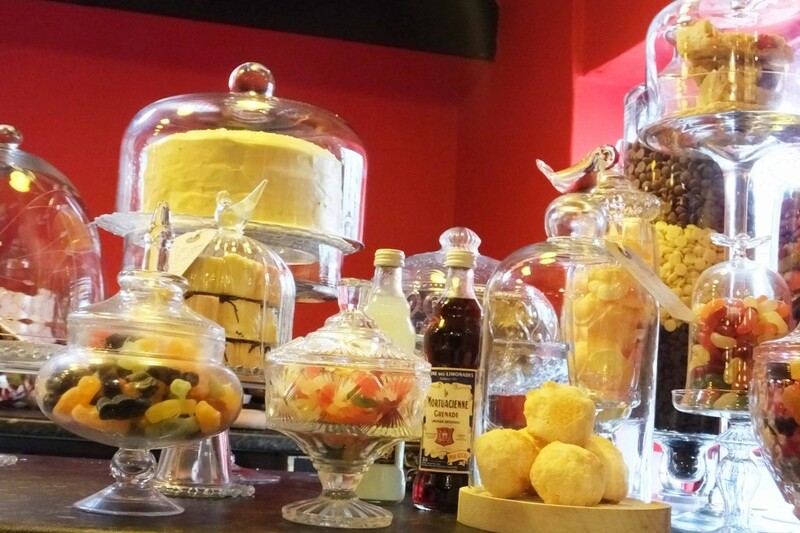 We’d love to hear your thoughts of the cakes and food on offer. Let us know by commenting below or connecting with us on Facebook and Twitter. 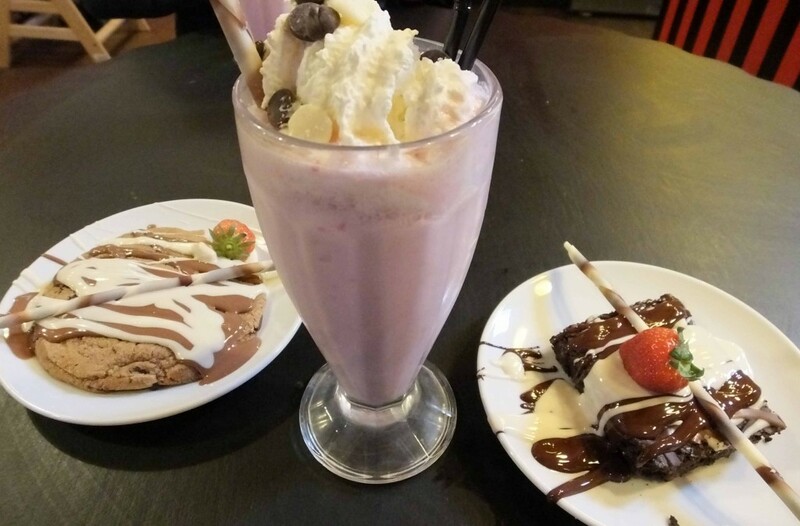 View all of our pictures from our trip to Brighton and Choccywoccydoodah by visiting our Flickr page.